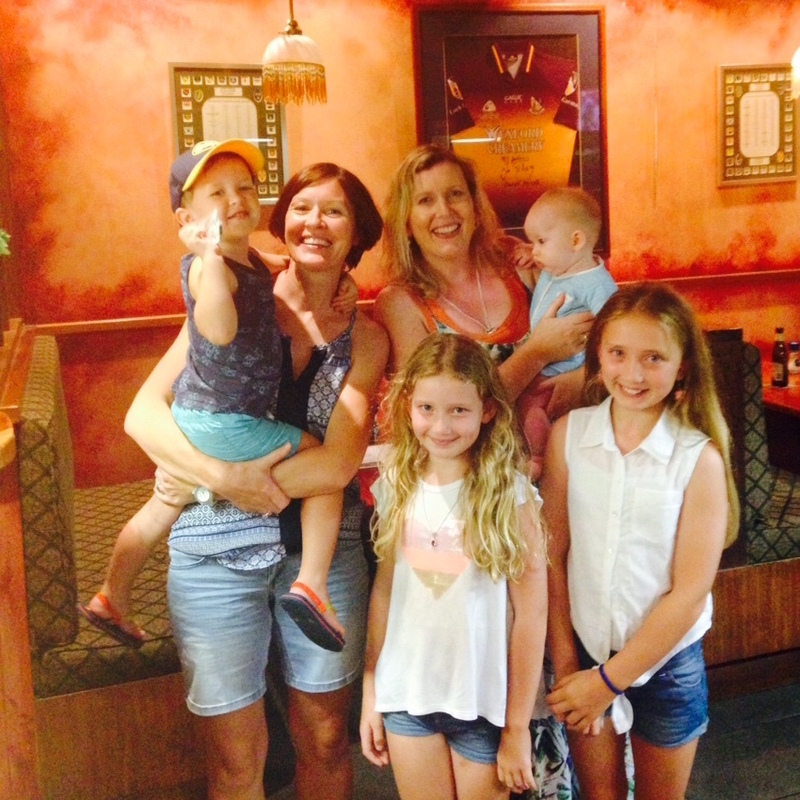 A Kilcullen wild geese story from Australia — your editor's daughter Caroline Reidy (on right back row, holding Kilcullenite Laura Berney's baby Rory) and family met up with Laura (holding her son Finn) in Paddy's Irish Pub & Grill in Port Douglas, Queensland, at the weekend. Also pictured are Tammy and Ellen Reidy. Caro and family were in PD on holiday from Chelsea, near Melbourne. All looking great.